Given that the most important societal needs require multidiscipli­nary collaboration between researchers and decision makers, a suitable environment has to be provided in the first place. A proposal, prepared by a Finnish consortium and published in the open access journal Research Ideas and Outcomes, suggests a new, open virtual work and modeling platform to support evidence-based decision making in a number of areas, while also abiding by the principles of openness, criticism and reuse. Unicorn is to combine shared practices, tools, data, working environments and concerted actions in order to aggregate open information from multiple databases, and create tools for efficient policy studies. The consor­­tium have already developed and tested prototypes of such practices and tools in several projects, and insist that they are now ready to apply their experience and knowledge on a larger scale. They are also certain that open data and models are deservedly the “mega trend” nowadays. “Unicorn directs this trend to paths that are the most beneficial for societal decision making by providing quick, reliable and efficient decision support,” they say. “The major challenges related to evidence-based decision making actually are about changing the practices of researchers and dec­­ision makers,” according to the authors. Therefore, they see their project as a demonstration of the needed shifts. 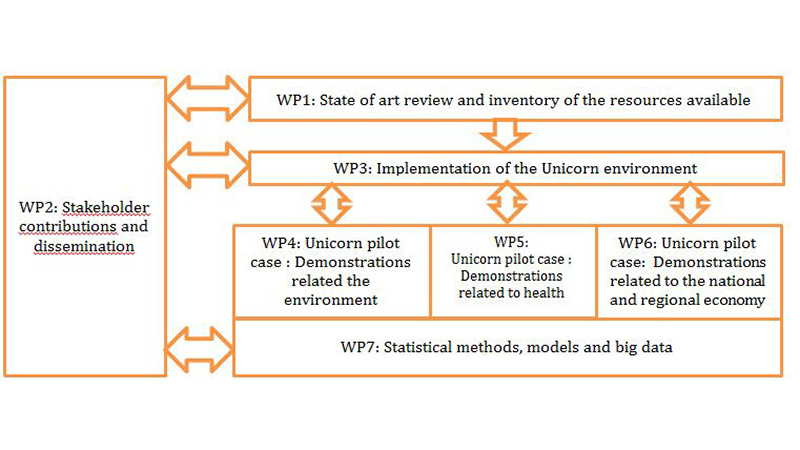 Having already been submitted to the Strategic Funds of Academy of Finland in 2015, the Unicorn environment proposal has been rejected due to overambitiousness and low commercial potential. However, the authors are confident that the Unicorn environment along with its growing community of developers can, in fact, meet a great success. They are currently looking for further funding suggestions and forming new consortiums.